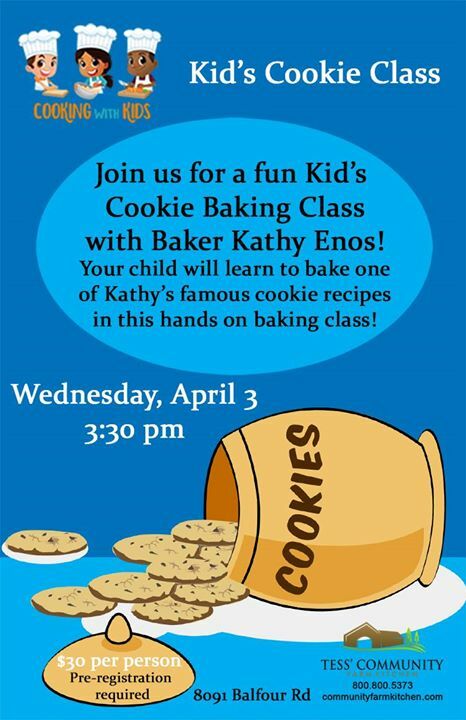 Join us for a fun hands on Cookie Class with Baker Kathy Enos! Learn to bake one of Kathy’s famous Cookie Recipes! Pre-registration is required as space is limited! Class is for ages 5 and up.